Moving away from defence ties, Russia has taken the initiative to complement India’s hunger for technological innovation. Whether it is in the area of energy, or water purification or space exploration, Russian expertise is coming to India’s aid. India-Russia relations in the area of defence have been most highlighted, but that may not be the case in coming years. Russia has taken the initiative to complement India’s hunger for technological innovation. Whether it is in the area of energy, or water purification or space exploration, Russian expertise is coming to India’s aid. There have already been some crucial agreements between Russian and Indian companies to boost innovation and the coming months may see more such agreements. Igor Bogachev, a top executive from Skolkovo, the leading Russian technology hub, stated during his visit to India last year, “We want Indian innovators and technology entrepreneurs to partner directly with Russians”. Similarly, Skolkovo’s President, Viktor Vekselberg, said in an interview last year, “The chief result that we are aiming for is to see Indian companies among our members”. Indian leaders and companies must seize these offers and consider them as opportunities. Skolkovo has won international acclaim within a span of a few years (since it started in 2010) and has signed agreements with leading international companies like Boeing and IBM to educational institutions like Massachusetts Institute of Technology. Though largely funded by the Russian government, the tech hub on the outskirts of Moscow comprises about 1000 companies and start-ups and has emerged as a leading example of technological innovation in the world. The Russian tech hub has already made inroads into the Indian market. Dauria Aerospace, a Skolkovo partner, has signed an agreement with the India-based company Aniara to design and build new generation Ku-band geostationary satellites, which has market potential in other countries. Indian oil companies have expressed interest in the software for oil exploration developed by Rock Flow Dynamics, a Skolkovo based company. According to reports, this software has already been used to explore new oil fields in India. These are some of the examples, which are expected to be multiplied in coming days. The process of joint innovation actually took a leap forward during the visit of President (Vladimir) Putin to New Delhi in December 2014. Many start-ups from Skolkovo participated in Indiasoft-2015, the international conference on information technology that was held in New Delhi in February 2015. Last year, Skolkovo also held negotiations with Tata Steel and Steel Authority of India to jointly develop technologies. 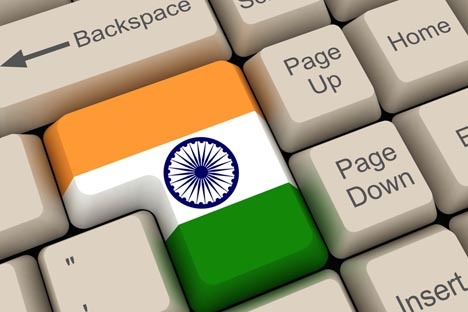 Under an agreement signed in February this year, India is establishing an Information Technology cluster in Moscow. Joint innovation with Russia will be beneficial for India. Take the following examples. India, under (Prime Minister Narendra) Modi, has launched a massive campaign to clean the river Ganges, one of the most polluted rivers that pass through the heart of India. The livelihood of millions of people depends on this river. Skolkovo has already expressed interest to help India in the Ganges cleaning programme. A Skolkovo company BioMikroGeli has won international acclaim for developing purification technologies. India is interested in building smart cities by massive use of information technology. Skolkovo is known for developing technologies for smart cities. Skolkovo itself is a smart city with high energy efficiency and with minimal or zero carbon emissions. It will also be able to promote India’s latent innovative power by providing seed money to creative start-ups. There is a report according to which Skolkovo can offer a range from between $50 thousand and $10 million to support new companies. Some of India’s young entrepreneurs, who are extremely talented, lack funds. They can benefit to create start-ups with the Skolkovo money. Hence, when Skolkovo’s President says he wants Indian companies to be present in the tech hub near Moscow, he implies that the bilateral cooperation will not only help India but also help develop joint projects for mutual advantage. There are prospects that both countries would develop products with the involvement of talent from the two countries. These products would be used in both the countries, and leave scope for their marketing in third countries. There is a notion that Russia is excellent in its innovation, but falls short of marketing its products. India has considerable expertise in marketing products. The coming together of India and Russia will prove mutually beneficial in this regard. As the trust quotient between the two countries is high, it will be possible for their innovative minds to deal with sensitive technologies without signs of suspicion which may prevail in joint projects with other countries. An industrial fair is on in Hannover, Germany, currently, at which both Indian companies and Russian companies are participating. Prime Minister Modi, while speaking at Hannover, named Russia along with some other countries and said that his interactions with these countries “have all aimed at creating enduring partnerships with shared stakes in global development and well-being”. Indian leaders are already in queue – starting from President to Prime Minister – to visit Russia this year. It is expected that both the countries would take concrete steps and sign deals in areas of technological innovation. As nations move towards using modern technology not only in warfare but also in welfare of people, and in managing public affairs, India-Russia technological cooperation will help in making India a country of innovation. It may also channelize some of India’s best minds northwards towards Russia, rather than towards the West, in developing path breaking technologies with implications for the two countries and for the globe. Dr. Debidatta Aurobinda Mahapatra is an Indian commentator. His areas of interest include conflict, terrorism, peace and development, South Asia, and strategic aspects of Eurasian politics.